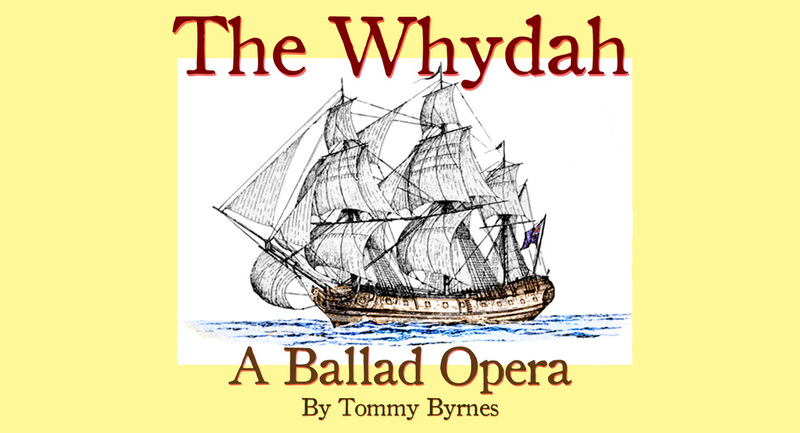 The Whydah is a ballad opera that tells the true story of Black Sam Bellamy, "The Prince of Pirates" and his star-crossed lover Mary Hallett. Production is underway for The Whydah. Keep up to date with news about this exciting new project by Tommy Byrnes. You Can find the story of the Whydah, Sam Bellamy and Mary Hallett here. © 2016 Sovereignty Music Services All rights reserved.